We had music, food, fun, drink, costumes, candy and The Royals playing in the background! We want to thank Tim Kruse ll, for putting together a fantastic night of music with Man vs Animals, we’d and Extremely Naked. Kansas City, watch out because Man vs Animals is on fire!!! It was easier, on our nerves, to watch the Royals win, because of all the great live music and an enthusiastic crowd. Check out some photo and videos below. 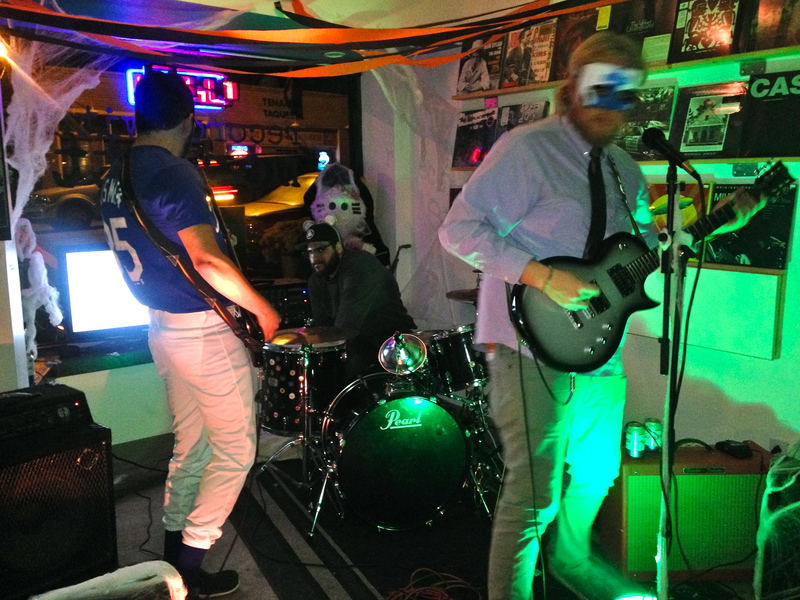 ← Live@Records with Merritt: Man VS Animals Spooktacular/World Series Watch Party!! !